Designed for hyperscale data center and embedded rack-scale solutions, Artesyn’s 12 volt power shelf delivers industry-leading efficiency and density required for next generation 30 kW+ rack density deployments. Artesyn is an Associate member of the Intel® Intelligent Systems Alliance. From modular components to market-ready systems, Intel and the 200+ global member companies of the Alliance provide the performance, connectivity, manageability, and security developers need to create smart, connected systems. 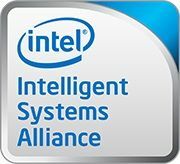 Close collaboration with Intel and each other enables Alliance members to innovate with the latest technologies, helping developers deliver first-in-market solutions. Want to know more? Click the link below to request more information!